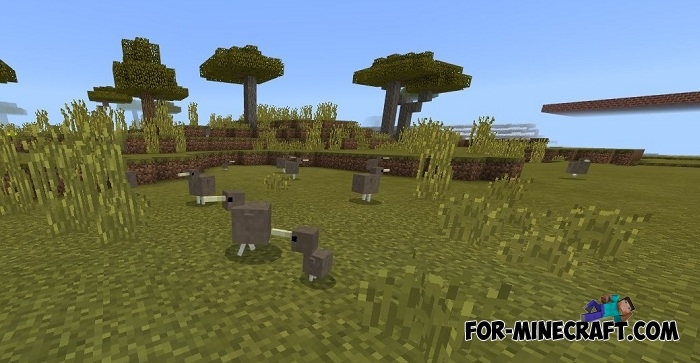 Add small friendly Kiwi birds that replace chickens in Minecraft PE. 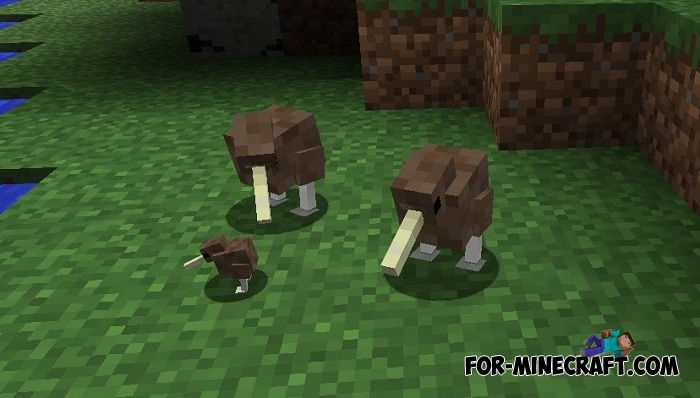 Kiwis are harmless for players and for a lot of mobs, they can not fly and live mostly on the plains and approach to the forest. If you hate silverfishes and want to get rid of them once and for all, then get this animal into your house. Do not expect that your kiwi is able to protect itself from ocelots, they can not live together. In general, this is only one animal, but if you want to add a whole zoo to MCPE, then do not miss the Animals addon that brings a lot of realistic animals from around the world. How to install the Kiwi addon? 1. Download the file and open it using MCPE. This used to work like a charm, but the model is broken now, and I can't figure out how to fix it.